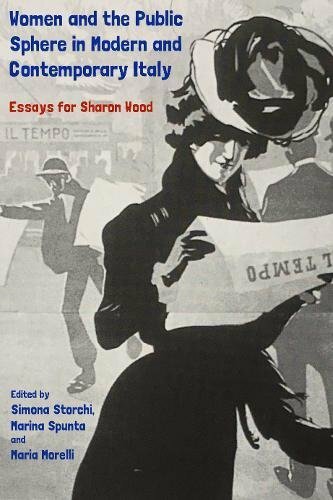 This volume examines the multifaceted relationship between women and the public sphere from the mid-19th to the early 21st century and offers a wide-ranging investigation both of the changing nature of this relationship and of the continuity in the representation of women in Italy over the past two centuries. By adopting complementary theoretical frameworks, including gender and queer studies, space and place studies and other critical approaches, and by exploring a variety of historical and socio-cultural contexts, the contributors, all Italian Studies scholars, problematise a series of issues pertaining to womens’ subjectivity and role in modern and contemporary society. The threads that link the essays in this volume are many, starting from the complex relationship – and often resistance – to the patriarchal order, and the negotiation of a feminine identity that, while opposing the Norm, at the same times seeks to overcome a merely dichotomic approach to embrace a dialectical coexistence of polarities. In different and complementary ways all the chapters in the volume deal with the projection of a female voice that is “talking back” and with the forging of an image of woman that is no longer exploited, marginalised or othered – a complex practice that is realised in dialogue with other voices and forces. If you have any questions about this product by Troubador Publishing Ltd, contact us by completing and submitting the form below. If you are looking for a specif part number, please include it with your message.